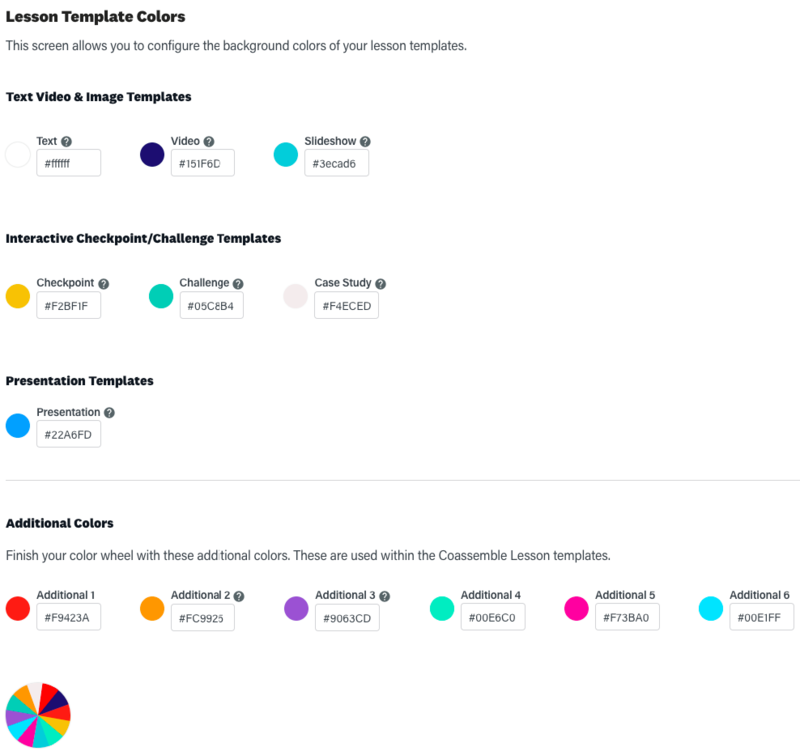 Similarly to changing your workspace colors, you are able to change the colors that are displayed in Lesson Templates to either complement your branding or to enhance the participants' learning experience within the Lesson! Select the specific color that you are wanting to change. Text Video & Image Templates, Interactive Checkpoint/Challenge Templates, Presentation Templates and Additional Colors can all be edited this way. For each color click on the hex color code and replace it with the required hex color code. 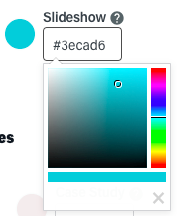 Alternatively the color can be selected from the color picker if the hex code is not known.